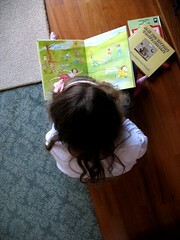 In a recent story on elementary school students’ reading achievement, “Making Sure Mass. 3rd Graders are Strong Readers,” WBUR interviewed the founder of one of City Connects’ community partners, ReadBoston. Rick Weissbourd, who also founded WriteBoston, commented on the reading achievement gap related to poverty: while 37% of third-graders statewide read below grade level, among children from low-income families, 57% do. Weissbourd noted that an early difference in experience with spoken language may be related to the gap; children growing up in low-income families may come to school not knowing as many words as their peers growing up in more affluent families. Reporter Sacha Pfeiffer dug deep into the issue, asking what factors in the lives of low-income families may be affecting the difference in spoken language experience. Weissbourd’s answer reinforces a core belief of the City Connects mission: poverty creates stress. An example is the pressure of working more than one job, which limits time for conversation with children. Weissbourd also cited the low-level depression that can accompany life under the pressure of poverty. Like ReadBoston, the City Connects intervention aims to provide supports to students and families that can help address the out-of-school factors impacting achievement. Watch our blog in the days ahead for a description of City Connects’ successful partnership with ReadBoston at one of our schools.